« What is in your bicycle tool bag? Gil Cedillo stuffed many of our dreams of a bicycle- and pedestrian-friendly North Figueroa Street into the recycling bin earlier this year and he is desperate for good press in his mediocre (at best) first year in office. North Figueroa is off the table for now, it seems. However, Cedillo’s office has scheduled two three meetings on street safety for early December of 2014. Wednesday, November 26, 2014 at 6 p.m. at Flying Pigeon LA bike shop (located at 3404 N. Figueroa St., Los Angeles, CA 90065). It’s a potluck and I’m going to fill a couple of growlers up at Eagle Rock Brewery before the meeting. Good times to be had. There is a Facebook Event for this potluck. Rev. 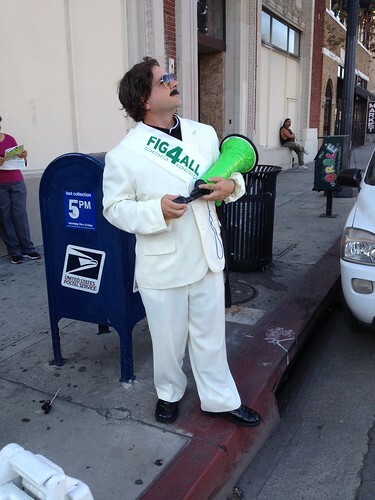 Fig4All looks to the heavens for hope after Gil Cedillo tossed safe street plans out for no good reason. I’ve gone and set up a Facebook Event for this meeting. Wednesday, December 3, 2014 at 6 p.m. at Monte Vista Elementary School (located at 5423 Monte Vista Street, Los Angeles, CA 90042). The advertising for this event ask us to: “Help us re-design Figueroa”. This re-design is supposed to: “make Figueroa safer for everyone; make Figueroa friendlier and walkable; slow/calm traffic; beautify Figueroa; re-energize historic Highland Park’s Route 66 downtown main street”. That sounds pretty backhanded and incoherent to me given Cedillo’s history with this street, but don’t take my word for it! Come see it live and in-person on Wednesday night! Yet another Facebook Event for another meeting. Yup, I set up another Facebook Event and it’s for the Marmion Way meeting. No matter what, I promise that our potluck and these two upcoming meetings will engage your senses! Food, drink, and exciting conversation. If Cedillo’s time-waster-in-chief, Sharon Lowe, shows up at any of these events, we’re going to have to have a contingency plan! Okay you scruffy or not-so-scruffy livable streets advocates! Clear you calendar! See you on Wedensday, then the Tuesday night after that and the Monday night after that and be prepared to have some fun!